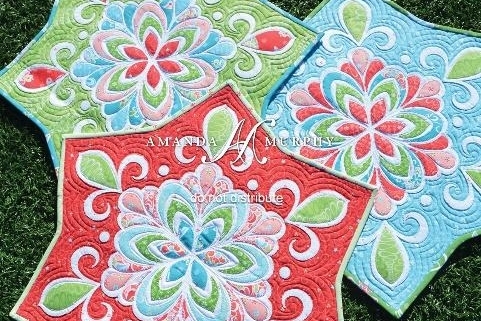 Description: Amanda Murphy has come up with a beautiful star pattern applique that can be cut with your cameo or traced and cut in the conventional manner to start this project. Our first class will be the cutting class. Once you purchase the pattern you will have access to SVG files to cut on your Cameo. Or if you prefer, a traceable pattern is also provided when you purchase the pattern to cut in the conventional manner. The second class will be the placement/pressing of the cut pieces on the star shape. We will also blanket stitch a small demo piece to get you started with the stitching. The third class will be completing the blanket stitching and the free motion quilting of the final star.